Our group is currently analyzing the radial variations of the spectral enery distribution (SEDs) for galaxies in the SINGS sample. Changes in these SEDs with the galactocentric distance can be interpreted in terms of the radial variation of the relative contribution of stars (of different ages), dust, and gas. This will be done by making use of the predictions of models for the chemical and spectro-photometric evolution of disk galaxies. As part of this analysis we will improve our determination of the growth rate of nearby disks recently carried out using GALEX UV and 2MASS near-infrared data alone (Muñoz-Mateos et al. 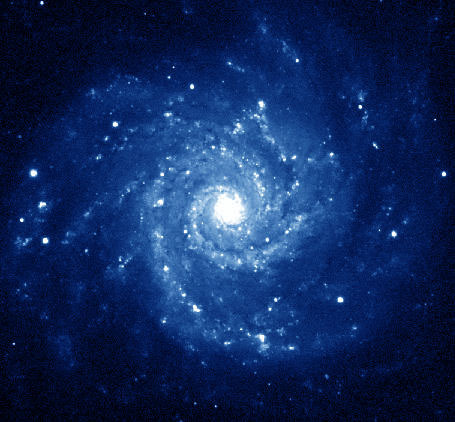 2007) and study its dependence on the galaxy size/mass and environment. Direct access to the data products we are obtaining (object masks, multiband surface brightness profiles, asymptotic magnitudes, etc) is currently limited to the GALEX and SINGS teams. However, we can provide them upon request to jcm at astrax.fis.ucm.es. 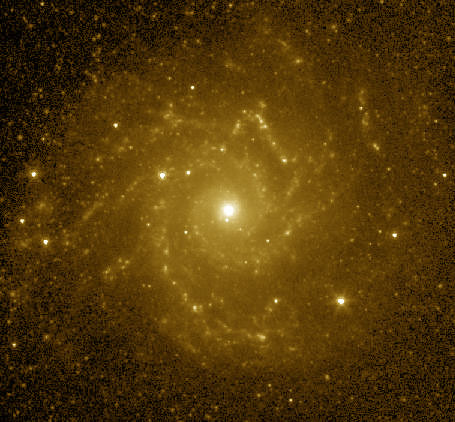 The SINGS survey (Spitzer Infrared Nearby Galaxies Survey, Kennicutt et al. 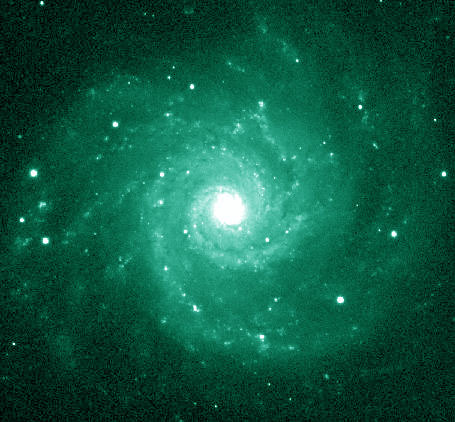 2003) is one of the legacy projects of the Spitzer infrared space telescope. 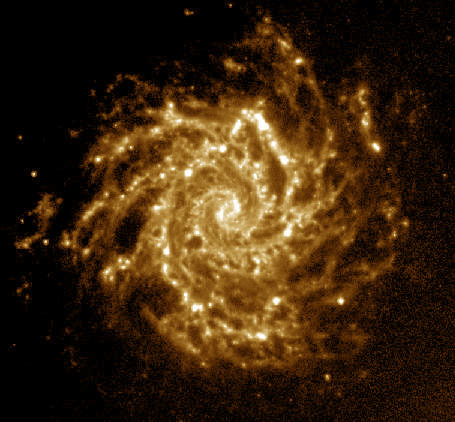 Its aim is to study with spatial resolution the physical processes taking place in nearby galaxies. In order to achieve this, images in mid and far infrared have been obtained for a sample of 75 galaxies in the local universe. 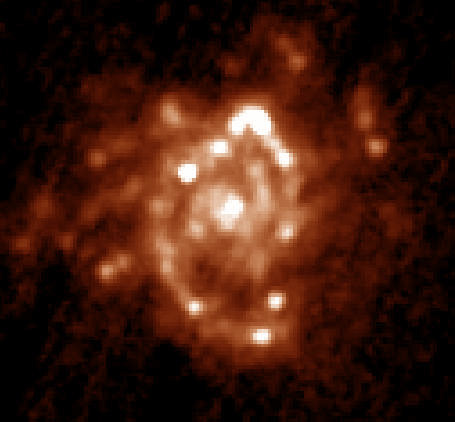 Besides, these data have been complemented with optical images from ground-based telescopes. These galaxies have been also observed in the UV with GALEX space telescope, and many of them also have HI maps available from the THINGS survey (The HI Nearby Galaxies Survey, Walter et al. 2008). Thanks to the joint effort of the GALEX, SINGS and THINGS teams, the scientific community now has, for the first time, very high quality data which sample nearly the whole electromagnetic spectrum with high spatial resolution. 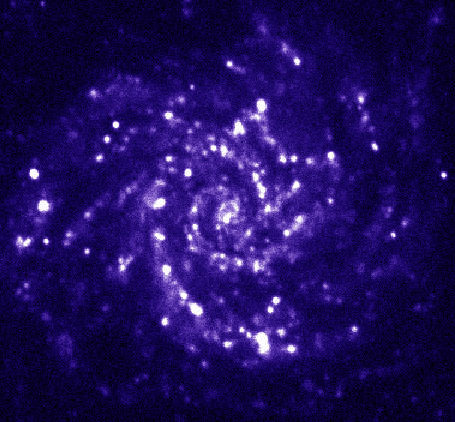 Our group is involved in the GALEX-SINGS collaboration; we are currently obtaining multiband radial profiles with high spatial resolution in order to study the radial distribution of the stellar populations and dust. 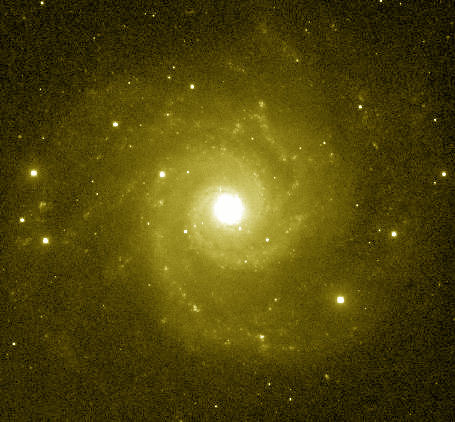 The 'Spitzer Infrared Nearby Galaxies Survey' (SINGS) is a comprehensive imaging and spectroscopic study of 75 nearby galaxies (D < 30 Mpc). 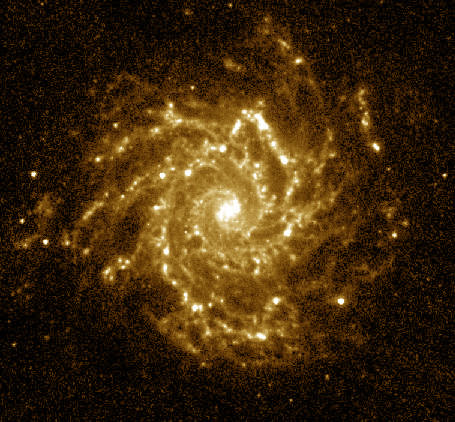 When combined with coordinated observations at visible, near-infrared, ultraviolet, and radio wavelengths, the data will provide definitive insights into the physical processes connecting star formation to the ISM properties of galaxies, and a vital foundation of data, diagnostic tools, and astrophysical inputs for understanding the distant universe, ultraluminous galaxies, and the formation and evolution of galaxies. 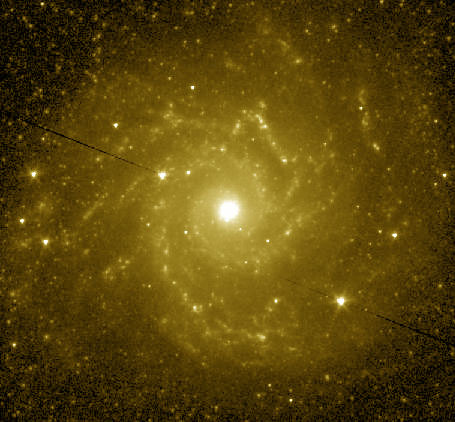 SINGS is one of the approved Spitzer Space Telescope Legacy Science Projects . The Legacy Program was designed to maximize the scientific utility of the Spitzer Space Telescope by yielding an early and long-lasting scientific heritage. The Spitzer Space Telescope is a space-borne, cryogenically-cooled infrared observatory. Spitzer Space Telescope was launched by a Delta rocket from the Kennedy Space Center on August 25, 2003.